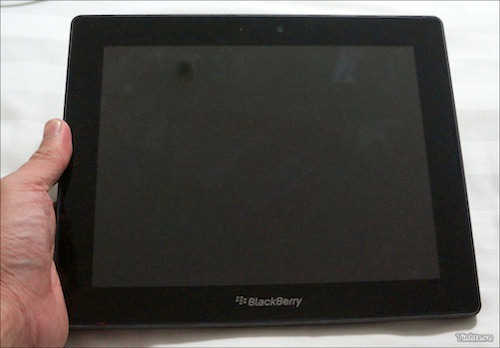 The 10-inch version of the BlackBerry PlayBook tablet has surfaced on Vietnamese forum Tinhte. There is a Sim-card slot and the device says BlackBerry 4G PlayBook. But other than that there is isn’t a whole lot. Check the above link to see comparison shots with the 7-inch PlayBook.